These are the results of the latest poll conducted by the Palestinian Center for Policy and Survey Research (PSR) in the West Bank and the Gaza Strip between 29 June and 1 July 2017. Internally, the period before the poll witnessed various important developments: the PA instituted a partial deduction, about 30% of the salary, on payments to its public sector in the Gaza Strip; the PA partially stopped covering the cost of Israeli-supplied electricity to the Gaza Strip; Hamas elected Ismail Haniyeh as the head of its Political Bureau and Yahya Sinwar as head of the movement in the Gaza Strip; Hamas engaged in negotiations with the group led by Mohammad Dahlan in an effort to ease conditions in the Gaza Strip; and Hamas also issued a new document reflecting its current principles and positions. Moreover, Palestinian prisoners in Israeli jails carried out a hunger strike. This press release addresses these issues and covers other matters such as Palestinian elections, general conditions in the Palestinian territories, and national reconciliation. It also covers some aspects of the peace process and intra Arab relations. Total size of the sample is 1200 adults interviewed face to face in 120 randomly selected locations. Margin of error is 3%. but half of the public believes that the PA will indeed acquiesce to the external pressure and suspend the payments. The largest percentage of the public is opposed to any Hamas-Dahlan agreement that would lead the two sides to share the administration of the Gaza Strip, fearing that such an agreement would lead to the complete separation between the West Bank and the Gaza Strip. It is worth noting however, that a majority of Gazans would support such an agreement, if one is indeed reached. After the Trump’s visit to Palestine and Israel, most of the public remain pessimistic about the future of Palestinian-Israeli relation and the Palestinian-American relation. But it is worth noting that the level of support for a return to an armed intifada has declined significantly during the past three months. Perhaps the decline is due to public perception of the negligible outcome of such attacks, such as knifings and shooting, on the Israeli side. In other words, the public might view them as ineffective and counterproductive given the fact that the last attack has led to the denial of access to Jerusalem and holy places during the month of Ramadan. Finally, findings show that the overwhelming majority believes that the Arab World has turned away from the Palestine cause and has become an ally of Israel against Iran. On intra-Arab matters, the public stands with Qatar against the measures taken by Saudi Arabia, Egypt, and the UAE against it. An overwhelming majority of 84% are opposed to the measure taken by the PA to stop covering the Israeli-supplied electricity to the Gaza Strip; only 10% support that measure. Opposition to the measure increases in the West Bank (87%) compared to the Gaza Strip (80%), among supporters of Hamas and third parties (93% and 90% respectively) compared to supporters of Fatah (73%), among the illiterates (87%) compared to those who hold BA degree (83%), and among students (87%) compared to employees (77%). Similarly, an overwhelming majority of 88% are opposed to the step taken by the PA, reducing the amount of salary payments to its employees in the Gaza Strip; only 8% support the step. 40% believe that the step has been taken by the PA in order to impose economic pressure on the Gazans in order to force them to reject Hamas’ rule; 37% believe the PA aimed at punishing Hamas in order to force it to accept its conditions for reconciliation, and 16% believe that the PA has taken the step due to the difficult financial conditions it faces. The belief that the PA seeks to impose economic difficulties on Gazans is higher in the Gaza Strip (44%) compared to the West Bank (37%), among supporters of third parties and Hamas (47% each) compared to supporters of Fatah (32%), among the married (41% compared to the unmarried (37%), and among the holders of BA degree (46%) compared to those who finished elementary school only (34%). 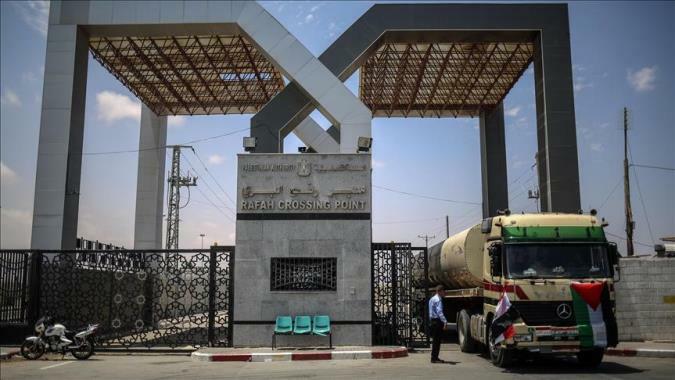 50% believe that a Hamas-Dahlan agreement to create a joint administration for the Gaza Strip, if true, would lead to the total separation between the West Bank and the Gaza Strip while 38% believe that such an agreement would not lead to the total separation between the two areas. The belief that it will lead to the total separation between the two areas stands at 51% in the West Bank and 50% in the Gaza Strip. This percentage rises to 55% among men compared to 46% among women, 56% among Fatah supporters, 50% among supporters of third parties, and 46% among Hamas supporters. It stands at 56% among holders of BA degree compared to 34% among the illiterates, and 60% among the employees compared to 42% among housewives. 48% indicate that they would be opposed to such an agreement between Hamas and Dahlan while 40% indicate that they would be supportive. Support for such an agreement stands at 61% in the Gaza Strip compared to only 29% in the West Bank. Similarly, support is higher among the youth, between the ages of 18 and 22 (38%) compared to those whose age is 50 or above (32%), among supporters of third parties and Hamas (64% and 53% respectively) compared to supporters of Fatah (35%), among holders of BA degree (44%) compared to illiterates (15%), among refugees (48%) compared to non-refugees (33%), and among those who work in the public sector (45%) compared to those who work in the private and non-governmental sectors (36%). 78% believe that the PA measure that suspended payment to cover the cost of Israeli-supplied electricity to the Gaza Strip, and similar other measures to pressure Hamas, will not succeed in ending the separation between the West Bank and the Gaza Strip; only 13% think such measures can succeed in ending the separation. Nonetheless, 47% of the public demand that Hamas accept the conditions put forward by the PA and Abbas if such acceptance can lead to improving conditions in the Gaza Strip; 38% demand that Hamas reject such conditions. 31% believe that the election of Ismail Haniyeh and Yahiya Sinwar as Hamas leaders will weaken the chances for reconciliation; 25% believe it will lead to strengthen the chances; and 33% think it will have no impact on the chances for reconciliation. Optimism about the success of reconciliation and the end of the split stands today at 27% and pessimism at 64%. These findings are similar to those obtained three months ago. 26% say they are satisfied and 61% say they are dissatisfied with the performance of the reconciliation government. In the Gaza Strip, dissatisfaction stands at 73% and in the West Bank at 56%. 91% are opposed to the suspension of PA payments to Palestinian security prisoners in Israeli jails; only 7% support such measure. Nonetheless, 46% believe that the PA will not stop making those payments to Palestinian security prisoners while 44% believe it will stop making them. The belief that the PA will indeed stop the payments is higher in the Gaza Strip (46%) compared to the West Bank (43%), among men (47%) compared to women (41%), among the youth, between 18-22 years old (50%) compared to those who are 50 years old or higher (38%), among supporters of Hamas and third parties (50% and 46% respectively) compared to supporters of Fatah (39%) among holders of BA degree (47%) compared to illiterates (35%), and among the employees (46%) compared to housewives (40%). 57% believe that the hunger strike by Palestinian prisoners in Israeli jails has partially succeeded while 28% believe it fully succeeded; 13% believe it has failed. Nonetheless, 69% believe that the hunger strike has enhanced the leadership status and role of Marwan Barghouti among the Palestinians while only 12% believe it has not done that. In fact, the strike did not improve the standing of Barghouti since the level of support for him in this poll, compared to that of Haniyeh or Abbas, did not change significantly, as we see below. The majority (53%) has not heard about Hamas’ new document; but 21% (of the total sample) believe the new document differs from some of Hamas’ basic principles and positions; 20% (of the total sample) believe it has maintained Hamas’ traditional principles and positions. 30% believe that the primary motivation behind the publication of the new document is Hamas’ desire to present itself to the world as a moderate movement; 18% believe that Hamas sought to reiterate its traditional positions as outlined in its original charter of 1987; and 16% think that Hamas sought to document the recent positions that the movement has adopted since it issued its original charter. 62% of the public want president Abbas to resign while 31% want him to remain in office. Three months ago, 64% said they want Abbas to resign. Demand for Abbas’ resignation stands at 55% in the West Bank and 75% in the Gaza Strip. Three months ago demand for Abbas resignation stood at 61% in the West Bank and 70% in the Gaza Strip. Level of satisfaction with the performance of president Abbas stands at 34% and dissatisfaction at 61%. Level of satisfaction with Abbas stands at 39% in the West Bank and 24% in the Gaza Strip. Three months ago, satisfaction with Abbas stood at 36% (41% in the West Bank and 29% in the Gaza Strip). If president Abbas does not nominate himself in a new election, 35% prefer to see Marwan Barghouti replacing him, while 19% prefer Ismail Haniyeh; Mohammad Dahlan 7%; Khalid Mishal and Rami al Hamdallah (5% each), and Salam Fayyad and Mustapha Barghouti (3% each); and Saeb Erekat at 1%. It is worth mentioning that Barghouti was preferred over all others by 33%. It is also worth mentioning that Dahlan (who, in this poll, is preferred over all others by 18% in the Gaza Strip compared to only 1% in the West Bank) has not gained more support in the Strip, in comparison to his standing three months ago, as a result of the agreement he has been reported to have made with Hamas. If new presidential elections were held today and only two were nominated, Ismail Haniyeh and Mahmoud Abbas, each would receive 45% of the vote (compared to 47% each three months ago). In the Gaza Strip, Abbas receives 39% of the vote (compared to 46% three months ago) and Haniyeh receives 55% (compared to 50% three months ago). In the West Bank Abbas receives 50% (compared to 47% three months ago) and Haniyeh 40% (compared to 45% three months ago). If presidential elections were between three: Mahmud Abbas, Marwan Barghouti and Ismail Haniyeh, Abbas would receive 22%, Barghouti 41% and Haniyeh 32%. If presidential elections were between two: Marwan Barghouti and Ismail Haniyeh, Barghouti receives 59% and Haniyeh 35%. Here too, it is worth mentioning that support for Barghouti against Haniyeh and Abbas stood at 40% three months ago and 59% against Haniyeh alone, figures that are very similar to his current standing. If new legislative elections were held today with the participation of all factions, 64% say they would participate in such elections. Of those who would participate, 29% say they would vote for Hamas and 39% say they would vote for Fatah, 10% would vote for all other third parties combined, and 24% are undecided. Three months ago, vote for Hamas stood at 30% and Fatah at 36%. Vote for Hamas in the Gaza Strip stands today at 35% (compared to 34% three months ago) and for Fatah at 36% (compared to 37% three months ago). In the West Bank, vote for Hamas stands at 24% (compared to 28% three months ago) and Fatah at 40% (compared to 36% three months ago). Positive evaluation of conditions in the Gaza Strip stands at 8% and positive evaluation of conditions in the West Bank stands at 24%. 47% of the public believe that conditions in the Gaza Strip would improve if Hamas accepted PA and Abbas conditions for reconciliation. Perception of safety and security in the Gaza Strip stands at 43%. In the West Bank perception of safety and security stands at 53%. Three months ago, perception of safety and security in the Gaza Strip stood at 38% and in the West Bank at 50%. Findings show that the percentage of Gazans who say they seek to immigrate to other countries stands at 47%; in the West Bank, the percentage stands at 23%. We asked the public about its viewership habits in the last two months. Findings indicate that Al Jazeera TV viewership is the highest, standing at 19%, followed by Maan TV (at 14%), Palestine TV and Filasteen al Youm (Palestine Today) (at 13%), al Aqsa TV (at 11%), Al Arabiya and al Quds TV at 5% each), and al Mayadeen at 3%. Perception of corruption in PA institutions stands at 79%. Moreover, only 36% of the Palestinian public say people in the West Bank can criticize the PA without fear; 58% of the public say that people cannot criticize the PA without fear. In the absence of peace negotiations, 74% support joining more international organizations, 54% support non-violent popular resistance, 39% support a return to an armed intifada, and 44% support the dissolution of the Palestinian Authority. Three months ago, support for a return to an armed intifada stood at 51%. Support for return to armed intifada is higher in the Gaza Strip (47%) compared to the West Bank (35%), among men (44%) compared to women (34%), and among supporters of Hamas (66%) compared to supporters of Fatah and third parties (27% and 42% respectively). After the visit of the US president, Trump, to Palestine and Israel, 51% believe that Palestinian-Israeli relation will continue to deteriorate, 13% think it will improve, and 33% think it will remain unchanged. Similarly, 50% think Palestinian-American relation will continue to deteriorate, 11% think it will improve and 34% think it will remain unchanged. 43% believe that the election of Ismail Haniyeh and Yahiya Sinwar to Hamas’ leadership roles will lead to escalation in Hamas-Israel relations; 15% think it will lead to greater calm in the relation, and 30% think it will have no impact on Hamas-Israel relation. 80% (compared to 76% three months ago) say the Arab World is too preoccupied with its own concerns, internal conflicts, and the conflict with Iran and that Palestine is no longer the Arab’s principal or primary issue or cause. Only 18% think Palestine remains the Arab’s principal cause. Similarly, 68% (compared to 59% three months ago) believe that there is an Arab Sunni alliance with Israel against Iran despite the continued Israeli occupation of Arab land while 21% believe that the Arabs would not ally themselves with Israel until it ends its occupation and allows the creation of a Palestinian state. Two thirds (67%) of the public is opposed to the steps taken by Saudi Arabia, Egypt, and the UAE against Qatar and only 12% support them. Support for Qatar is higher in the West Bank (71%) compared to the Gaza Strip (61%), among men (69%) compared to women (65%), among those whose age is between 18 and 22 years (70%) compared to those whose age is 50 or above (65%), and among supporters of Hamas (79%) compared to supporters of Fatah and third parties (60% and 64% respectively). 43% believe that the first most vital Palestinian goal should be to end Israeli occupation in the areas occupied in 1967 and build a Palestinian state in the Wet Bank and the Gaza Strip with East Jerusalem as its capital. By contrast, 29% believe the first most vital goal should be to obtain the right of return of refugees to their 1948 towns and villages, 16% believe that it should be to build a pious or moral individual and a religious society, one that applies all Islamic teachings, and 13% believe that the first and most vital goal should be to establish a democratic political system that respects freedoms and rights of Palestinians. The most serious problem confronting Palestinian society today is the spread of corruption in public institutions in the eyes of 28% of the public while 24% believe it is poverty and unemployment; 22% say it is the continuation of occupation and settlement activities; 20% say it is the siege of the Gaza Strip and the closure of its crossings; and 4% say it is the absence of national unity.